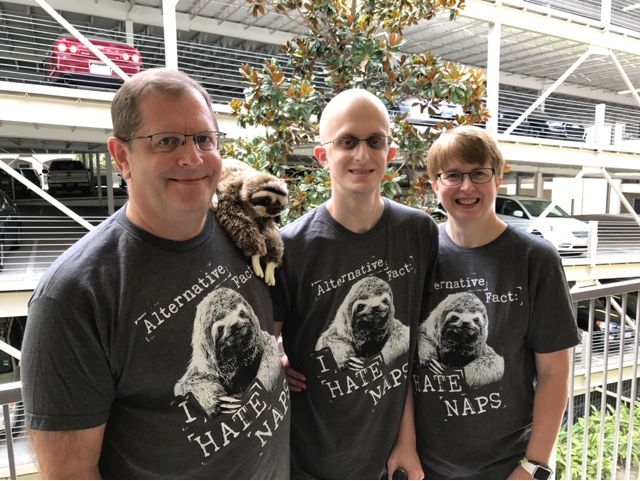 I went shopping to find a new sloth shirt for Robbie and they had a sale, so I got one for all of us. Robbie has been quietly playing on his computer today. I had to say good bye to my old college roommate Yvette. Laughter and tears all week. It was good to have her support. She is flying back to WI. The girls are coming tonight from Tulsa.